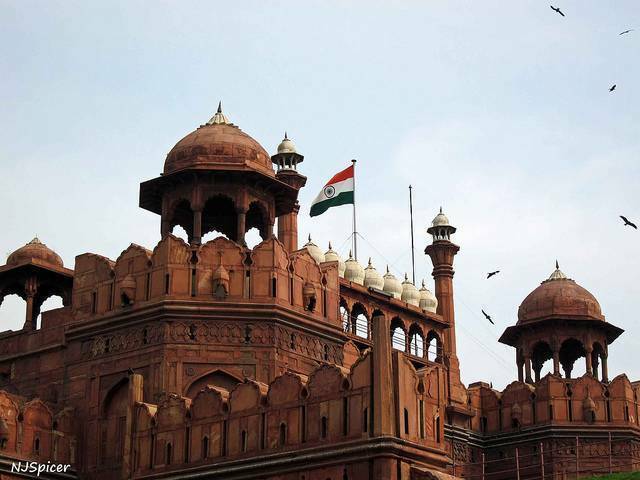 The Red Fort, though the color of this fort is no mystery, this is the most famous monument within the city of Delhi. Built in 1638, the fort is a reminder of Mughal rule, and of the Mughal struggle to keep out invaders. To get a sense of the history of the fort, go in the evening, when a one hour sound and light show details the fort’s history. Remains closed on Mondays and Ticket price is Rs.10 for Indians & Rs.250 for foreigners. Timings for the Light and Sound show at Red Fort is 6PM onwards.